Despite its excellent rolling characteristics, the tyre offers excellent braking on icy, snowy, and wet roads. 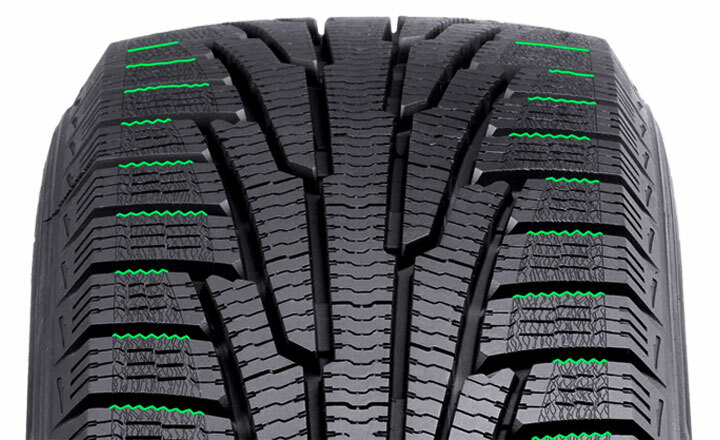 The tyre has a directional tread pattern with a fixed rotation direction, and it is covered by a dense sipe network that ensures its good grip. Brake boosters are effective braking assistants that add braking grip to the tyre. The rear edges of the tread blocks on the surface of the non-studded tyre have been designed so that the shape of the sipe boosts deceleration under slippery conditions.